There are 781 posts in this topic. You are on page 1 of 16. 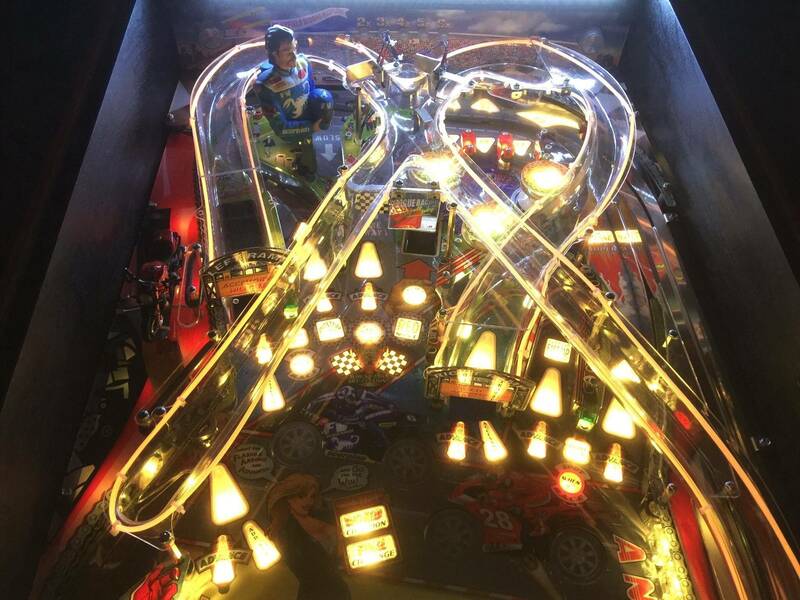 As many on this forum now know, we really do listen to Pinsiders and their opinions, and in the past, we have even changed direction on a number of different aspects of our games. Now we are months away from production, and now that Pre-Orders are open, we felt we should start an official Pinside thread where we will bring you our latest announcements when they happen, and where we can directly answer any questions you may have. We look forward to communicating with everyone here in the future. Here is our latest YouTube video update - posted today. 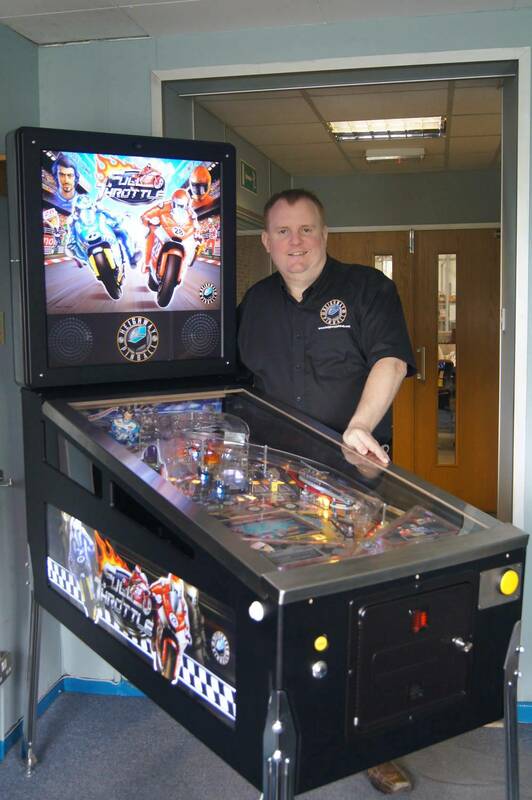 Looking good guys, also looking forward to finally seeing it at the Daventry pinball party. Quick question, will there be built in outputs from the sound card for hooking up an external subwoofer or upgrading the internal speakers with a powered amplifier? Congrats on completing Full Throttle! I have been awaiting this experience for a long time. Look forward to seeing/playing it at Expo. The theme is not one that would normally interest me, but I'm intrigued by what I've read and seen so far. Wow! These new videos make this look way better. 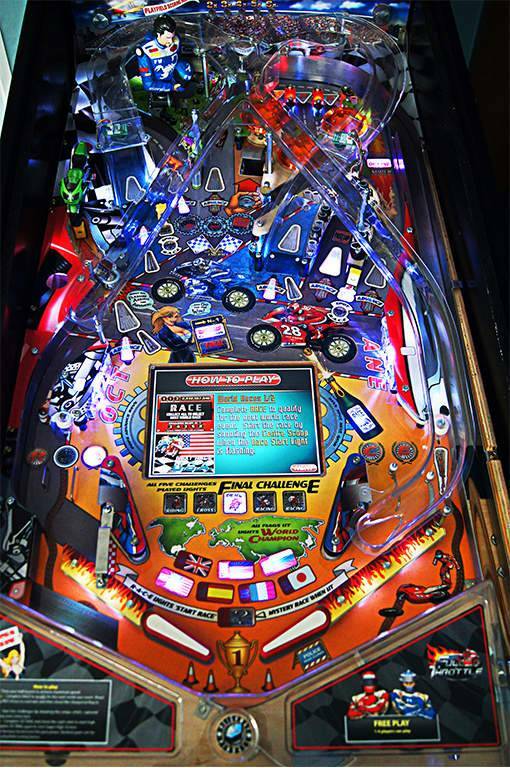 Racing as a theme doesn't really excite me personally, but I think it's a solid pinball theme, and it's obviously really well integrated here. As soon as I watched the GI go from red to green I could tell that the attention to detail to make this shine was in place. This is obviously not a home brew project, a lot of professional touches. One area I'd like to maybe offer a little constructive criticism of: the cabinet itself. I don't know if this is the finished design, or just a prototype, but it *looks* a lot like a prototype. Feel free to correct me on things that just aren't done! I know you're making these cabinets modular, so there are some design constraints involved in that. There are two things that stick out to me as funny though. The first and most obvious is there's no artwork on the front of the cabinet. 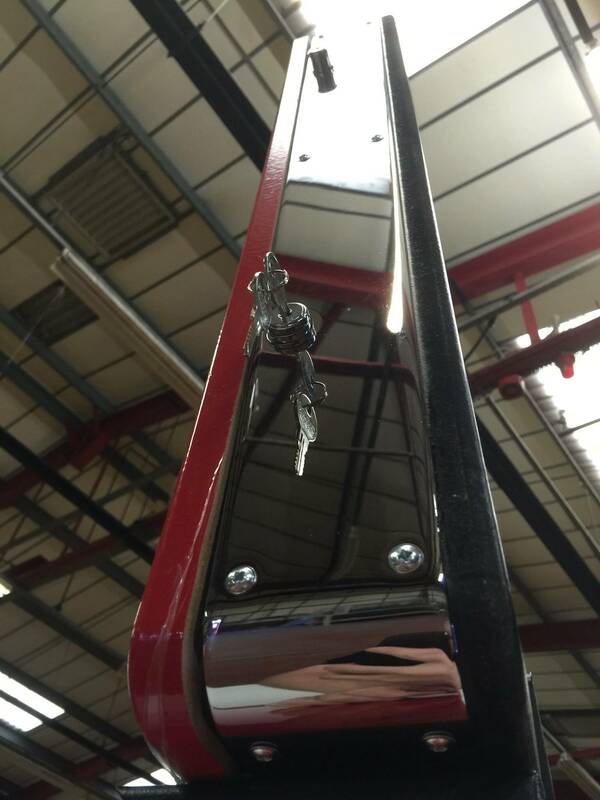 Even a removable decal under the coin door would help it feel "finished". Especially in a lineup with a lot of other pins (where the lit up side art might be pretty hidden) the front is going to feel off. Secondly, I just can't get into how the speaker panel area feels. 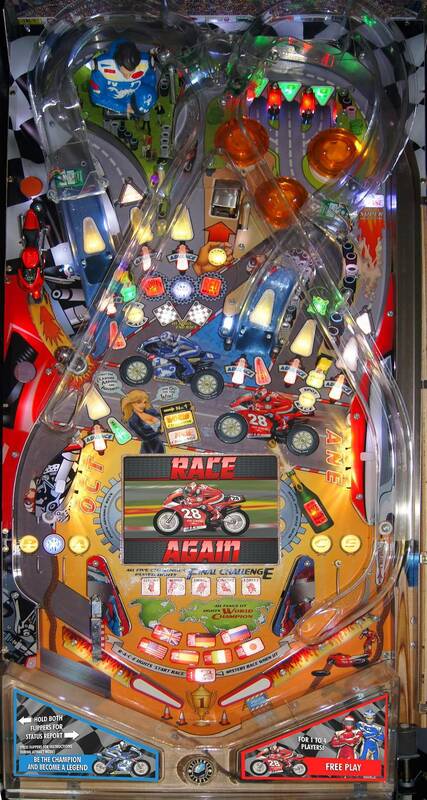 You don't need the DMD there because you integrated the screen into the playfield (very cool) but it sort of feels like you didn't really know what to do with that space, and so you just slapped your logo in there really big. And then duplicated it inches away on the translite. I would rather see you either just turn that whole thing into a dedicated speaker space (like say Elvira and the Party Monsters does, though that one is up top, or WOZ for that matter I guess) or find a way to bring dedicated game art into that space so it integrates better. Branding is great, but the game is the star, not your company logo, keep that to the translite where people know to look for it already anyways. 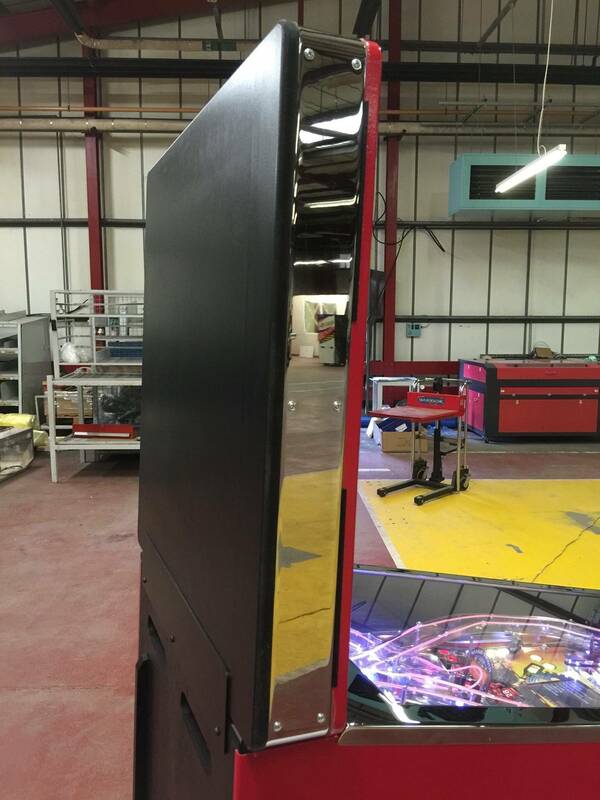 This cabinet is still a prototype cabinet - we have a final version on the way - and we are also looking at ways of having some game branding on the front/coin door area as well. Which is how I designed it in the first place but I did envisage covering it with black speaker foam similar to the Williams sys11 games e,g, Grand Lizard. Or, if that's not possible, maybe you could put a "3d" logo there in the style of the Bally and Williams speaker panels. See pic. That looks like a really fun game. 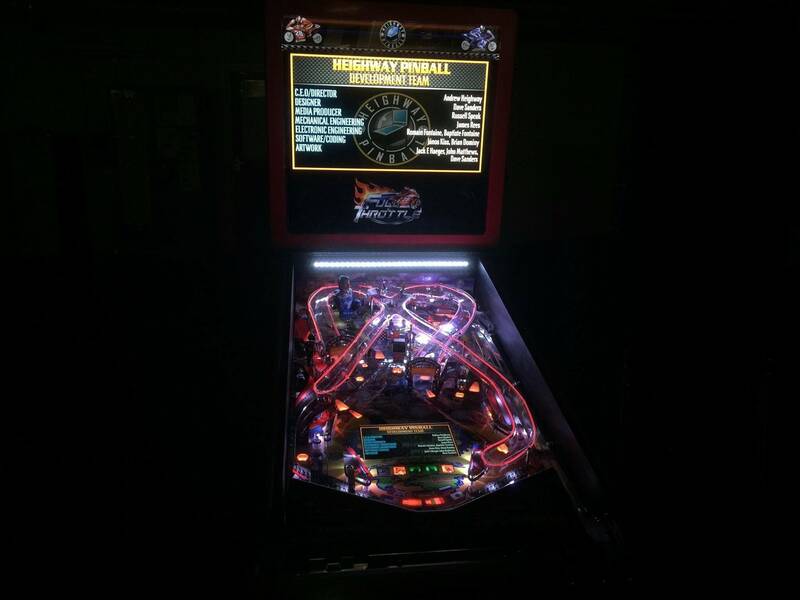 I like the LCD in the playfield. Nice work. Why not use the whole space for the artwork? 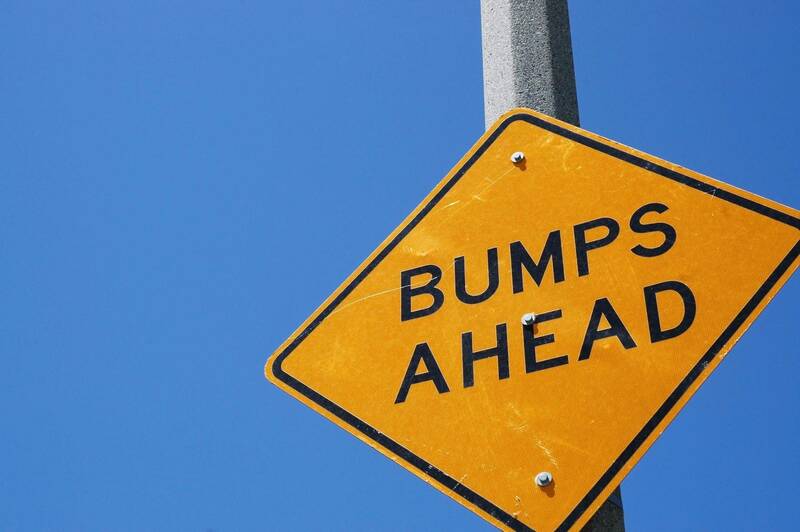 Like on Cirqus Voltaire where the are goes "over" the speakers. That looks awesome. Really only looks good when the pin is off tho. In my opinion and everyone that ever saw mine while I had it. 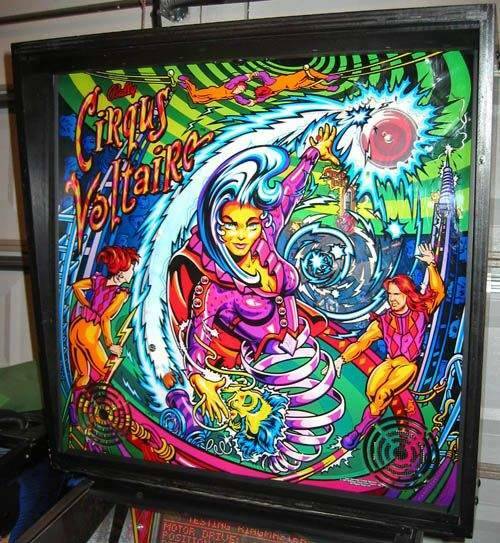 Most people never say anything about my pins, but almost everyone noticed that and didn't like the way the artwork would stay dark over the speakers. So seems this is getting the same " ya, it looks good but" comments already. Personally, I don't think the Heighway logo needs to be huge front & centre between the speakers, especially when it is on the translite art a few inches away. Okay, a thought. This is just a rough mockup with the assets I had handy, but since you're doing the whole thing as a single sheet why not take advantage of that? You can do some things that wouldn't be possible with an actual separate panel. What if the game logo was in the speaker panel area, lit up? Don't have to light the whole thing, just the center. And then you could have the bike's wheel breaking the plane of the 'speaker panel' to make it look like it's bursting out the frame, more 3D like. Just playing, feel free to steal or ignore! Okay, a thought. This is just a rough mockup with the assets I had handy, but since you're doing the whole thing as a single sheet why not take advantage of that? Wow, that looks pretty cool! Creative way to work around lighting limitations I hadn't though of. 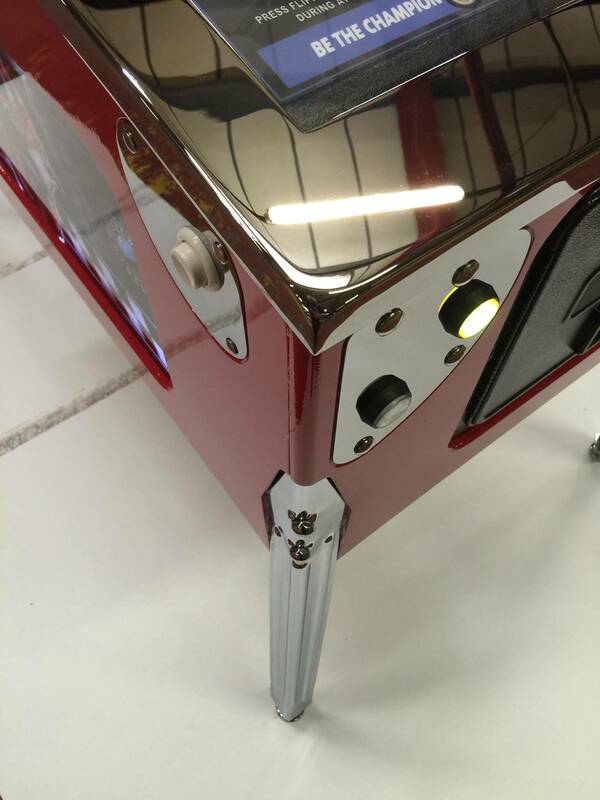 I agree with many other folks who've posted that the backbox leaves something to be desired; it's the one part of the machine that really looks "home brew" or amateurish. Aurich's redesign above looks much better. It's good that the motorcycles are larger, the company logo size is more appropriate, and one company logo on the backbox is enough, thank you (especially for a company that, as of yet, has no reputation). The game looks like fun, and I look forward to playing it. However, I noticed there was no spinner. I've always loved spinners, and it would be such a great tie-in to add one with a checkered flag design somewhere. The price (around $8k in the US, not including tax and/or shipping) seems about $3k too high. Sure, this looks like a fun game, but it lacks many of the bells and whistles I'd expect from a similarly priced pin like WOZ. 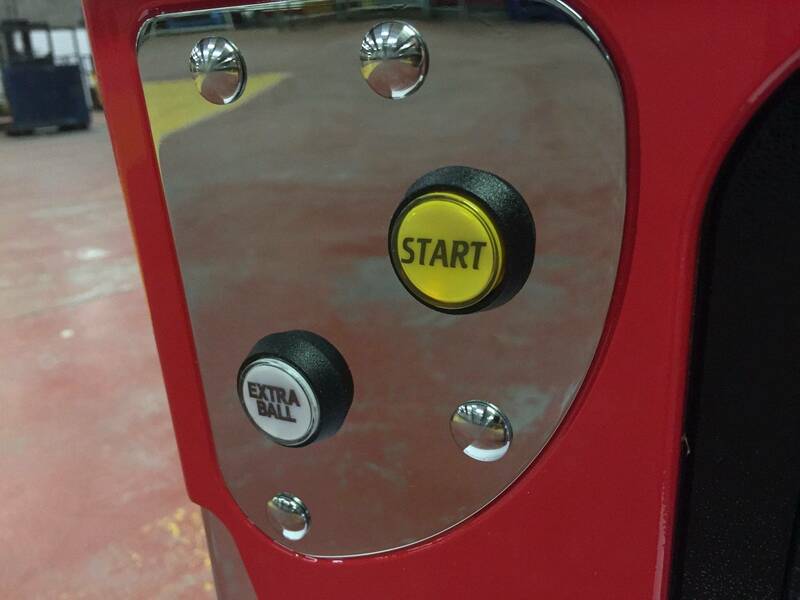 Even the newest Stern pins, which sell for between $6k and $7k seem to have more special features than Full Throttle. Since all Stern and Jersey Jack pins are licensed, they passing along the fee to their customers. 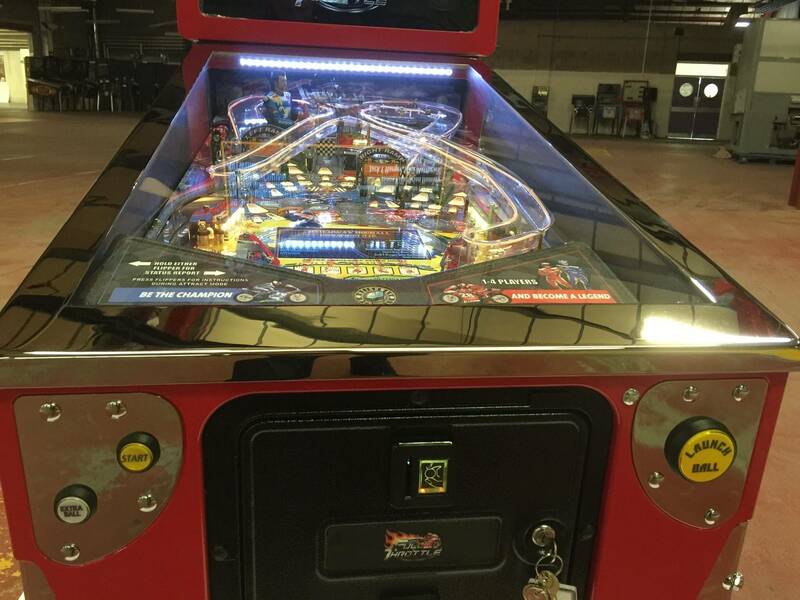 Full Throttle does not appear to be licensed, so an $8k price for a non licensed pin without a lot of bells and whistles seems quite excessive to me. 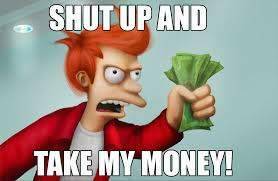 It's $6000 usd plus shipping from Chicago. That looks great. The one thing that must be removed imo is the big Heighway logo. If anyone on location is interested in who makes it ( rather than the game itself ) this is easily seen on the backglass. Post edited by moderator: fixed quote close tag. However, I noticed there was no spinner. I've always loved spinners, and it would be such a great tie-in to add one with a checkered flag design somewhere. Though I'm not sure if they still want to change it this late, I agree having a spinner would be nice. 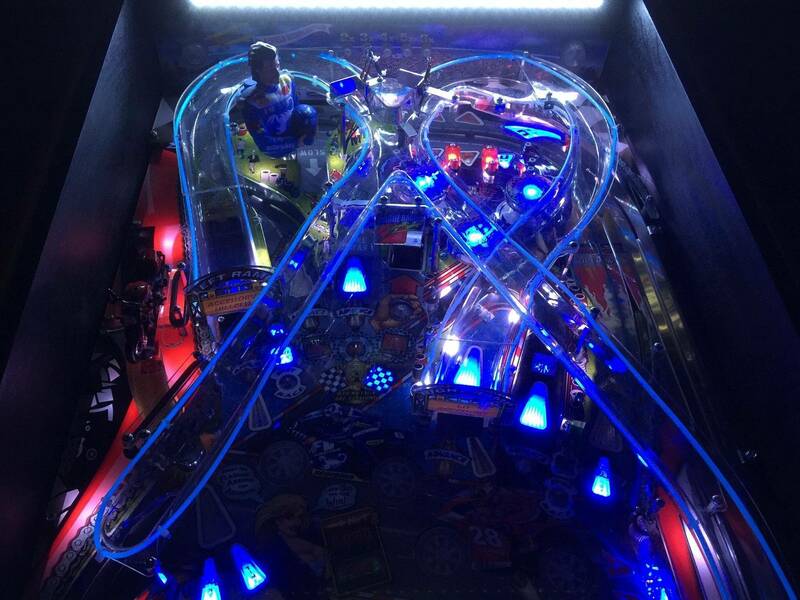 For a race it can be used to advance (a number of spins needed to gain one place), in multiball you could 'charge' a jackpot with a number of spins, etc.... could be very cool and would fit the theme! Really liking this game. Aussie distributor required and pricing ASAP. DOES IT STILL HAVE ONLINE TOURNAMENTS ? If you send your deposit in by Monday, August 18, 2014, you also get a discount on the final price. LE Discount is $350 USD. I am excited about being #13. Cannot wait to get mine! 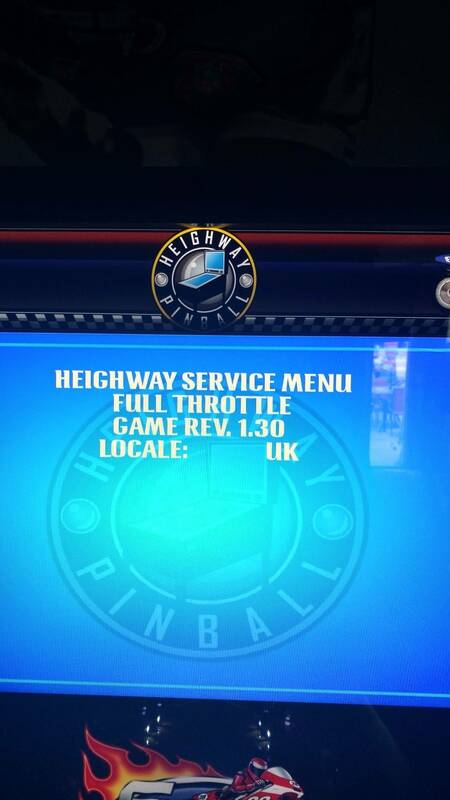 Are there any pictures of Full Throttle showing the entire playfield at once? 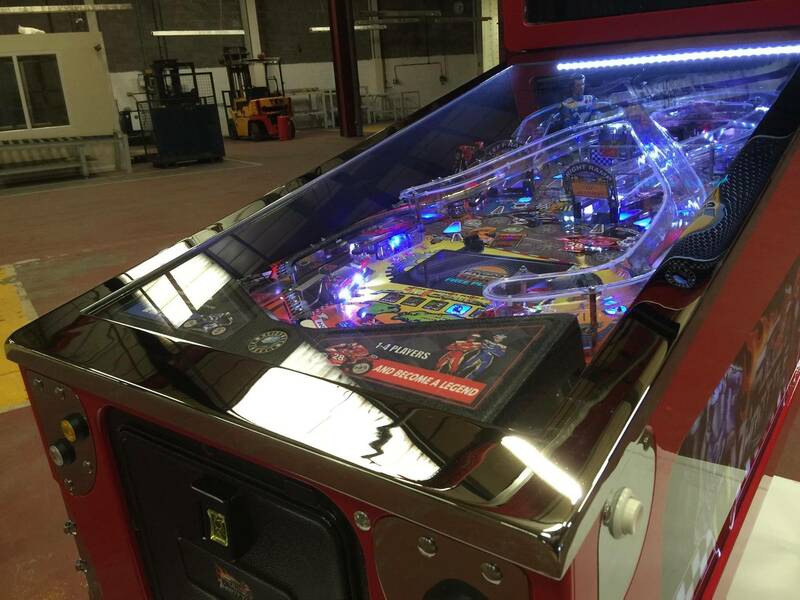 The Pinball News article just shows a bunch of close-ups. 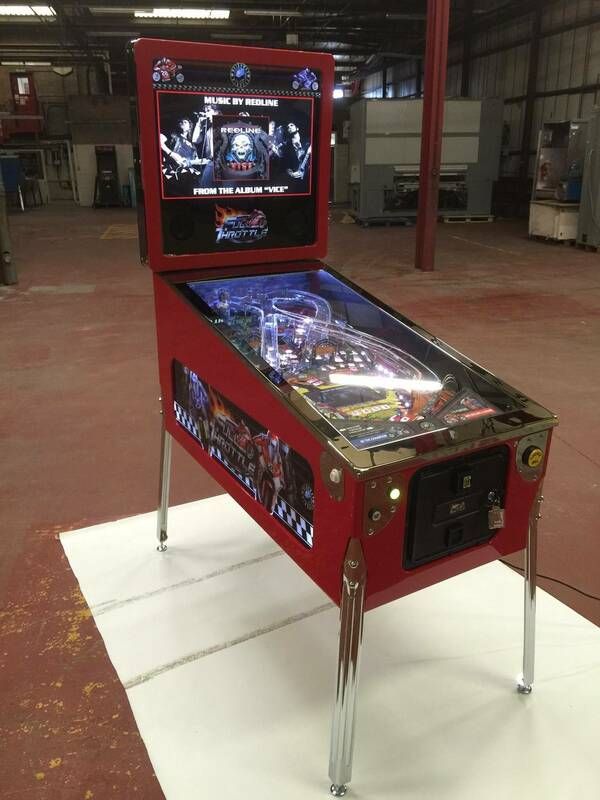 I've watched the Pinball News video several times now. The game is looking really cool. Thanks in advance for the picture, I'm looking forward to it! I like the clear apron too, no reason that couldn't have awesome lighting uner it too! Didn't know of this until this thread. Yeah, agreed, I just didn't take the time to do more than remove the logo. It would mean tweaking the art some, and you might not want to do that. I don't know how the art was created and how easy it is to move thing around on layers. The bikes look isolated with the way the glow was applied at least. Anyways, don't mean to backseat drive, just thought if I was going to be critical that I'd try and contribute in a positive way at least. Feel free to use or not as you see fit. If I was the art director at your company what I'd be thinking about is the future of your next 3 or 4 games. I know you've said you have a strategy to do more. And what I'd want is to establish a look that would make your games feel unified. The way you're combining the speaker panel and translite into one block, much like CV I guess, is an opportunity to make your branding and art be able to do some interesting things. Come up with a style and make it consistent, it would be "your look". You could almost make it like White Water, where the translite was pure art, with no name on it, and the game logo always appeared in the middle of the speaker panel, with custom lighting behind it. Mount a flasher or some chase LEDs or something fun there to make it come to life. It can be incredibly freeing as an artist to not have to worry about where to position the game name, you can do more creative layouts. The speaker panel doesn't have to be backlit, keep it dark, but maybe the material changes as the game theme changes. Carbon fiber for racing, dark cracked stone for a fantasy game, etc. Could become your signature look. I'm imagining what a lineup of 3 Heighway games all next to each other would look like with that layout, would be a great differentiating presence. On paper the theme would do nothing for me, but the game is very pretty and colorful. I like it a lot! Great work! 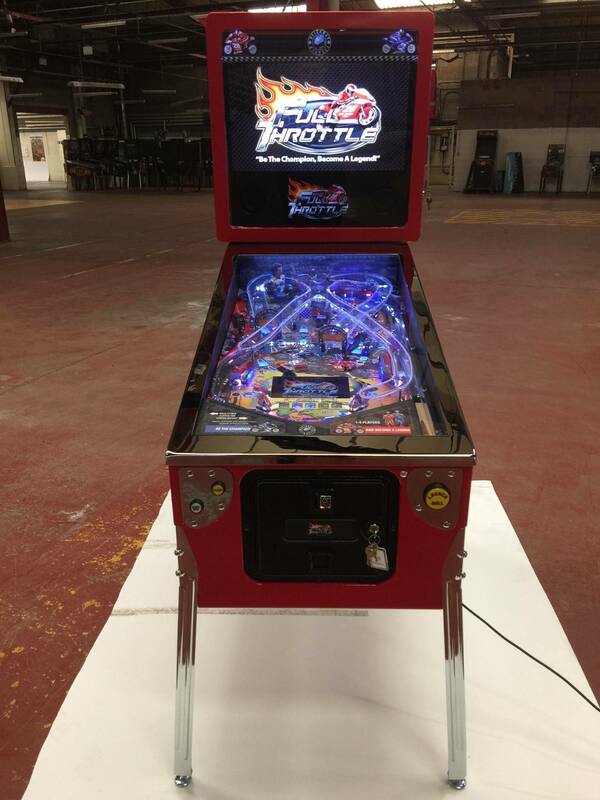 what if once you have a Heighway Pinball game / cabinet and when the next game comes out you could hire a drop in playfield to try before you buy system but maybe as a pickup and drop off deal. 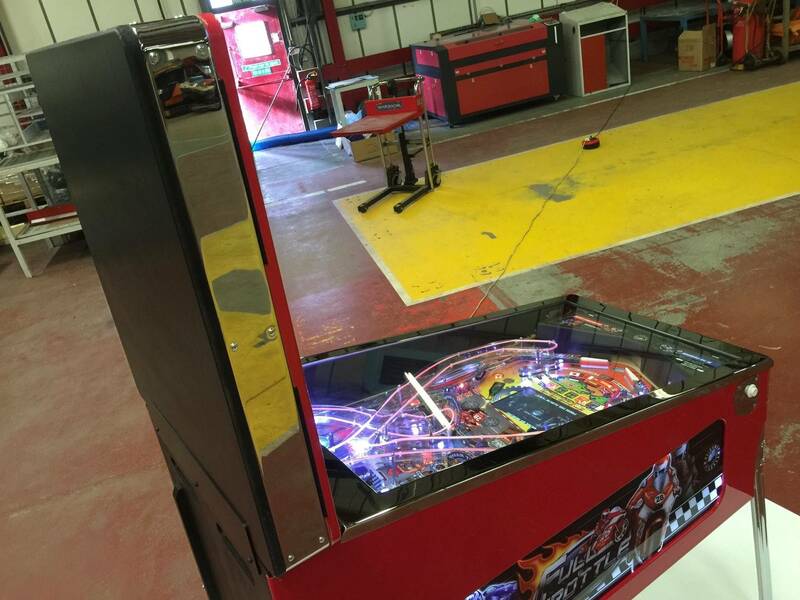 Hiring aids in covering some of the business costs and greatly reduces the cost for the customer to see if they really want the game.... Could see this being great for a arcade as well rotating playfields on a hire basis. 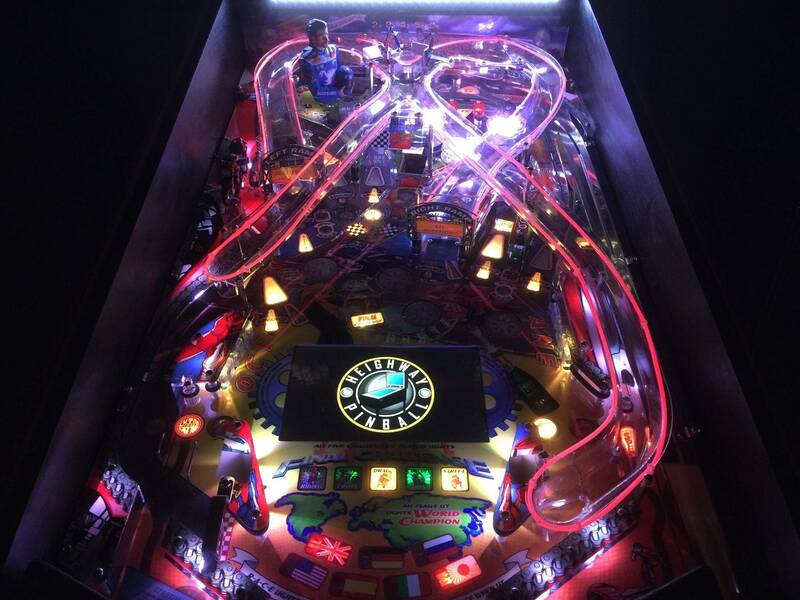 Will you have a game at Expo this year? 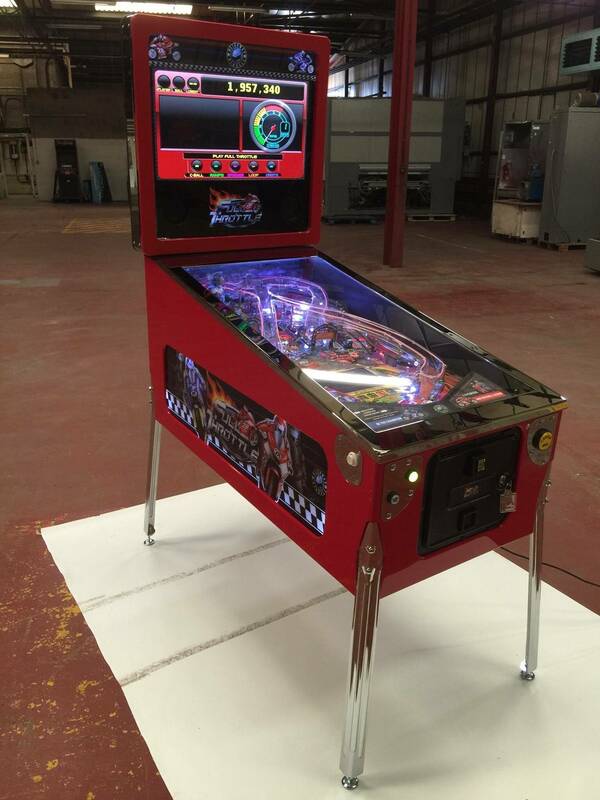 That playfield looks siiiiikkkkkk. Really cool!! 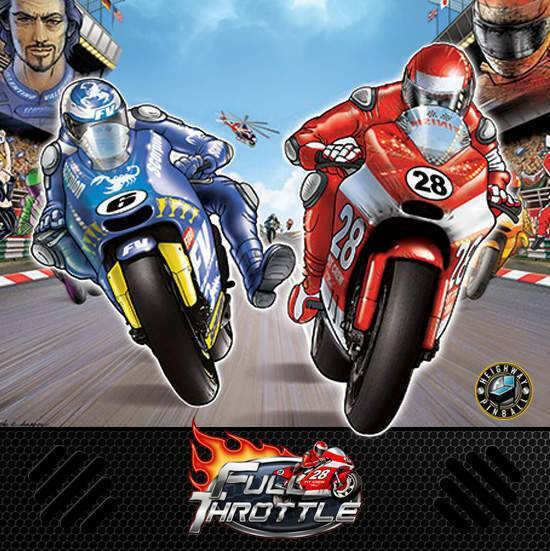 I might have to schedule an Expo trip just to see Full Throttle! Awesome! Thank you. The game looks great.